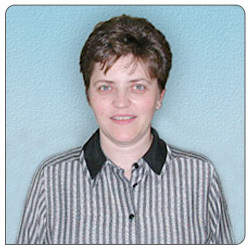 Dr. Dragana Stanisavljevic has been practicing dentistry more then 30 years (!). She finished all exams of National Dental Examining Board of Canada and became a Canadian dentist within one year! She has trained to bring you very best dental works. Dr. Dragana also was active member of ADVANCED PROSTHODONTICS Study Club at U.B.C. She was doing that to keep herself right at the top in making beautiful Porcelain Veneers, Crowns and Bridges. She currently lives in Burnaby with her family, being happy that she came to the West Coast where she enjoys an active lifestyle. 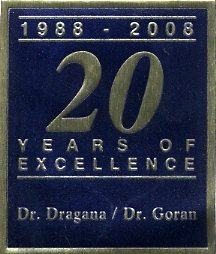 Jan. 2000 – … Crystal Dental Centre, Burnaby, B.C. March, 2006, Medical Dental Update, American Educational Institute, P. Vallarta, Mexico. February 2017, CAD / CAM CEREC Dentistry, Spears Center, Scottsdale, Arizona. Prof. Dr. Goran V. Videnovic, Maxillofacial Surgeon UFKM, Serbia.